Raise your hand if you’ve got a habit you’d like to change. It’s the rare human being who doesn’t. Whether it’s losing those last ten pounds or deciding to exercise more, almost all of us have something we’d like to change. Changing our energy consumption habits usually doesn’t rise to the top of the habit heap — until we get a bill that’s higher than we’d like and we immediately think I must do something about that! And then we often don’t. If you’re a teacher, feel free to download the poster and tips at the end of the month or follow us each day for a short tip on saving energy costs . 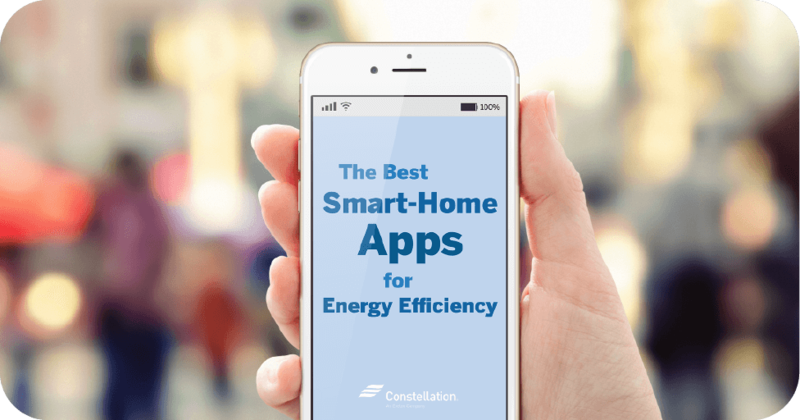 But all of these tips are just interesting reading if we don’t change our energy consumption habits. We decided to turn to a habit expert, New York Times bestselling author Charles Duhigg. He wrote The Power of Habit, a book that breaks down how habits occur and offers clear solutions for how to change a habit. Before we get into changing energy consumption habits, let’s look at what Duhigg says generally about how habits work. 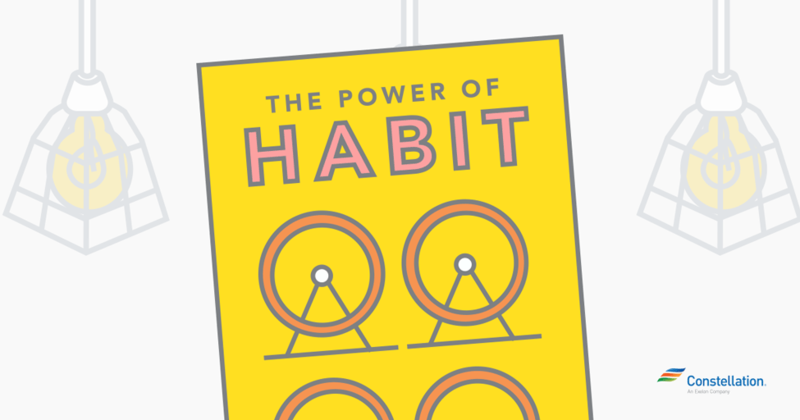 The power of habit, he says, has three distinct parts: cue, routine and reward. It is by understanding what cues your habit and ultimately provides your reward that you can change the routine. Changing the routine is what enables people to successfully change a habit for good. Duhigg uses himself as an example. He noticed over time that he often got up mid-afternoon from his desk, headed to the cafeteria, ate a cookie or two, and then returned to work. Not surprisingly, he also gained weight. It was a habit Duhigg wanted to change. But first he needed to understand — and ultimately change — the cue. So he started paying attention each day as his craving for a cookie cropped up. He realized after a while that it happened fairly regularly around 3:30 in the afternoon. He also realized that he wasn’t hungry when it happened. He was bored. He needed a diversion. Having uncovered the cue and the real need behind it, Duhigg created a different routine, one that would satisfy his need of breaking up his work day. Instead of heading to the cafeteria mid-day, he got up from his desk and visited with colleagues for a few minutes. Boredom satisfied —reward achieved. Added reward? Duhigg lost weight because he was no longer eating cookies mid-afternoon. So let’s translate this to changing energy consumption habits. Let’s start with one that could show you results in month one: lowering your thermostat. Energy.gov suggests setting your themostat to 68 degrees while you’re awake and lowering it while you’re asleep or away from home. According to the website, turning the thermostat back 10-15 degrees for 8 hours can save you 5-15% a year on your heating bill. That’s a savings of as much as 1% for each degree if you make the change for at least 8 hours, according to Energy.gov. The Consumer Energy Center, an energy nonprofit based in California, gets even more specific. 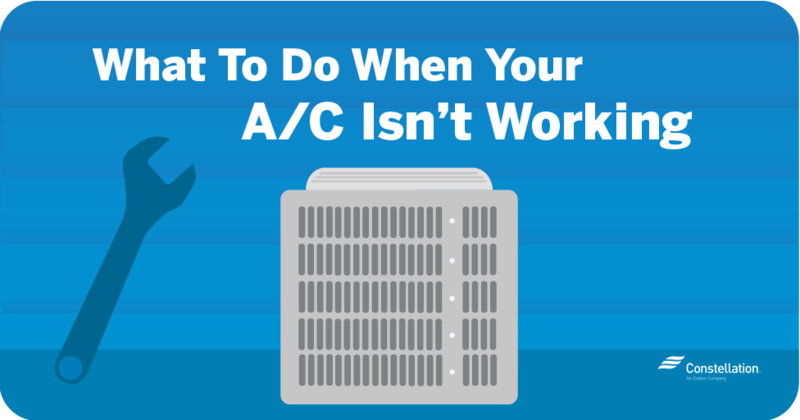 The center also advises setting your thermostat to 68 degrees. 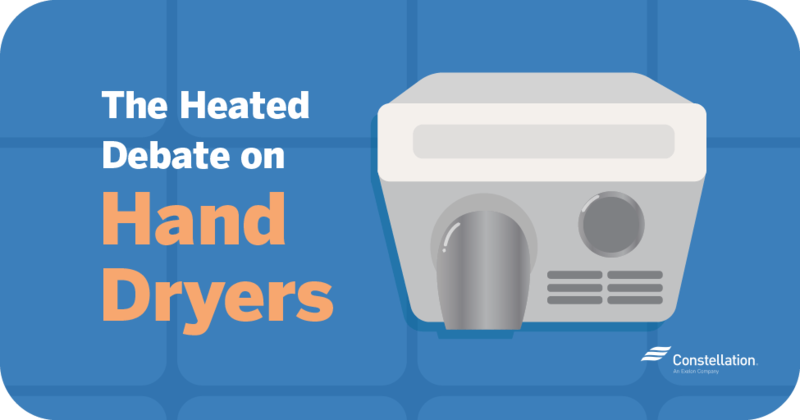 For every degree that you lower your heat in that 60-70-degree range, you can save up to 5% of your heating costs, according to the center. Setting your thermostat back to 55 degrees at night or when leaving the home for several hours, can save an additional 5-20% on heating costs. Pretty compelling statistics, right? But for most of us the routine when we first get our cue — we’re cold — is straightforward: Get up and turn up that heat. 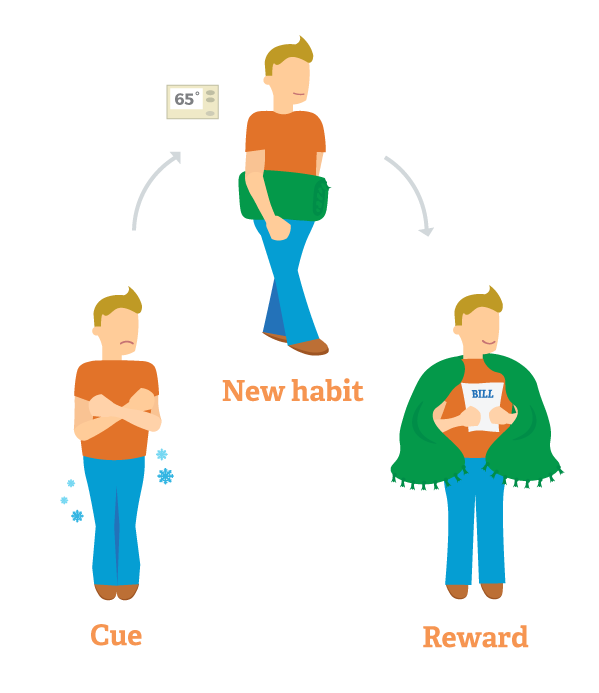 So how to change a habit that offers such a wonderful, cozy reward? We can’t change the cue, obviously. Cold is cold. What we can change, however, is the routine that leads to a different reward. Changing the energy routine needs to be easy; eliminating obstacles to change makes it more likely the change in habit will occur. Keeping a throw or wrap nearby that you can grab if you’re cold is one way to change your routine. Another is to have a heavier sweater nearby so you can easily put it on when you first feel cool. If you’re really chilled, consider making yourself a cup of your favorite hot beverage. The reward to this change in routine will be twofold. You’ll immediately feel warmer. And when you open your energy bill at the end of the month and see the savings, you’ll feel warmer inside, too.